Instagram is absolutely divine! It is a beautiful oasis of gorgeous images that inspire and motive thousands of people on a daily basis to purchase products and services. Why not take advantage of this trend? If you are in the market to attract high-end clients, then follow this simple three-step formula and you will be well on your way to putting money in your pocket and living the luxurious life you have always wanted. 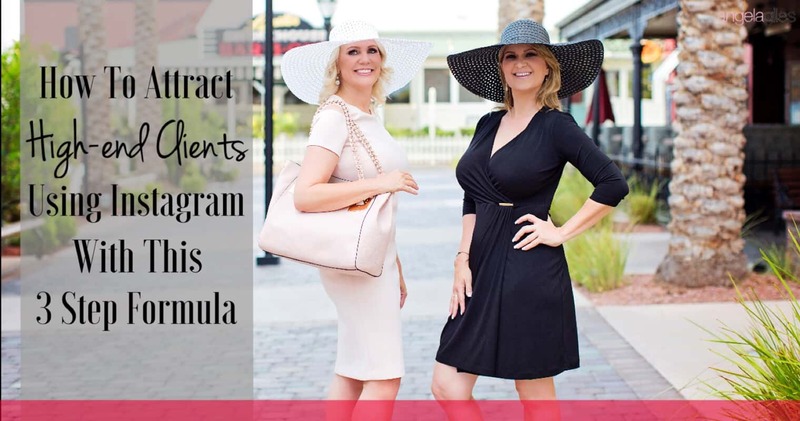 First and foremost, once you’re happy you have all of the Instagram basics covered, you should begin by creating a high-end sales funnel. A sales funnel is sometimes known as a sales grinder, and it basically conveys the idea that each and every sale that a business makes will begin with a very large quantity of potential clients and customers, before eventually funneling down into a considerably smaller quantity of individuals, who are the ones actually purchasing from you and becoming your customers. How you build your sales funnel is entirely up to you, but ideally you should begin by throwing in a compelling luxurious feeling freebie to help attract people’s attention. You should then include a squeeze page (also called an opt-in page), and a high-end offer to purchase on the back-end. You will need to compile a series of four emails that are designed to drip valuable content to your lead. In the last email, you should offer a high-end product or service for your potential customers to purchase. Be sure to post the link to your squeeze page in your Instagram bio with a compelling call-to-action, here are some instagram bio ideas to help you nail the placement. Instagram is an image-orientated social networking page, and as the saying goes “a picture can speak a thousand words,” so make sure your images do just that. When you post images, make sure they are compelling, delicious, decadent and divine. Of course, ensure that they are relevant in some way, either to your brand or to the services and products you are offering. You should post at least one or two images each day, and make note of the best times to post. For example, if you are targeting people in different time zones, make sure to take that into account when you post. Be sure to include appropriate captions and verbiage, as a little context with your image will go a long way. Of special note, post at least one image a week that is directly related to your luxurious freebie that is part of your sales funnel. Finally, at the end of that caption, be sure to include a call-to-action, encouraging viewers to click the link to your luxurious freebie in your bio. Research the most recent and relevant hashtags, not only for your business, but also for your post as well, and find out which ones are the most popular. Leaving out or including just one hashtag could be the difference between success and failure. Post these hashtags in the comments section underneath the caption. 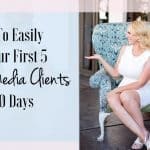 When using this strategy, you must have the divine mindset that there are plenty of clients for everyone. The great thing about using this strategy is that your competitors’ followers are already your ideal clients. Follow them, engage with them by liking their images and commenting every now and then, but be sure to be sincere when commenting. Ultimately, they will began to take notice and start following your Instagram feed. 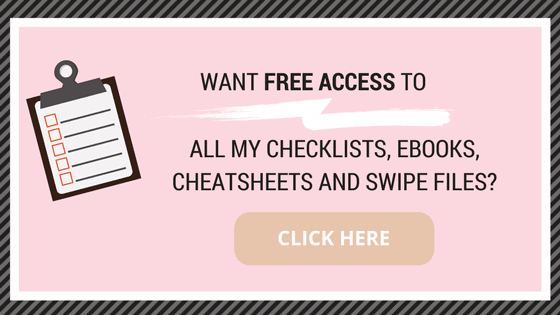 And as you are sharing your luxurious freebie (the start of your sales funnel), people will begin going to the link in your bio and opt-in to receive your freebie. Then your sales funnel will do the rest. It works like a charm. So there you have it! If you’re looking to expand your reach on Instagram and find yourself those all-important high-end clients, be sure to follow the advice above and you’ll soon be reaping the rewards. P.S. Want more in-depth hacks like this one? 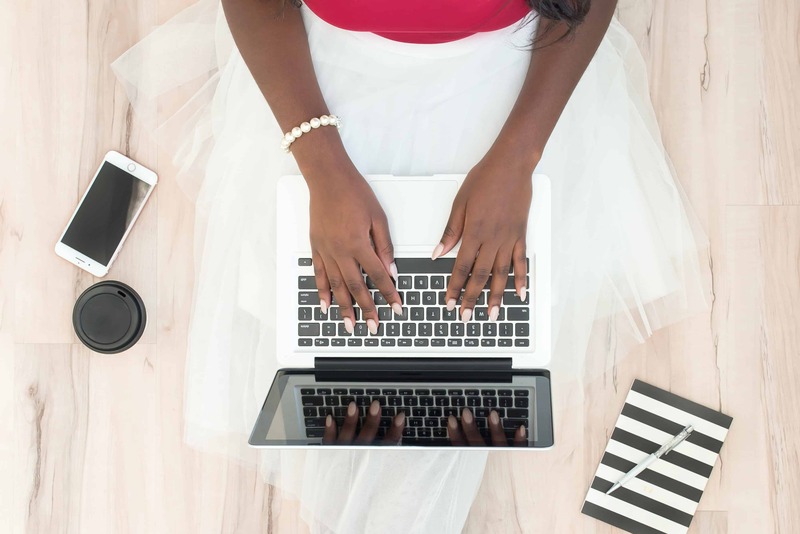 Join our LaFemme Marketing Academy for ONLY $1 – The Only Extensive Marketing Repository For Women Entrepreneurs Ready To Take Their Business From Struggling To Successful In 8 Weeks. Join here. Thank you for the tips, I have an Instagram account but I haven’t really started promoting the sales funnel yet, though I have the squeeze page link in my Instagram bio. What I need to do now is following your advice to follow my competitors’ followers and engage with them. I noticed that many of the successful women entrepreneurs are doing this on Instagram. The key is to do what these successful people are doing. Great tips again, Angela, I have bookmarked your site in order to learn more! These are fantastic tips. Instagram is one of my favorite social media platforms because my brand is very visual and photography is a huge passion of mine, so I’m always looking for ways to grow it. I think the biggest thing you can do on Instagram is to post beautiful and compelling images, because if they don’t stick out then no one will be interested. The last point you make is also a very pertinent one. You definitely want to be following your competitors’ followers and trying to get them to notice you as well. Following and commenting on people who may be interested in you is crucial to attracting high-end clients on that platform. I agree, Instagram is a valuable resource. I’ve heard this and learned from experience, but seeing it laid out here and explained how it actually works is that visual aid I was looking for. My issue is I wasn’t posting as much as I could have. As you advise, one or two a day isn’t much. It was matter of my memory failing me. I was so inspired by this great write up. A woman like me can provide such valuable information to help other women. Angela is so down to earth and honest about the reality of feelings and life. She makes you feel you can do it, and makes you want to be more authentic. This is just an awesome post and it got me through some really tough times recently. I’ll recommend this blog to my friends. This is a great guide for women. It gives the necessary guidance needed to attract high-end clients. Instagram is a beautiful oasis of gorgeous images that inspire and motive thousands of people on a daily basis to buy products and services. So using the opportunity to attract high-end clients is a great idea. I did the research for the most recent and relevant hashtags, not only for my business, but also for my post as well, and found which ones are the most popular. It has really worked for me! Thanks! I am a fan of online freebies and who isn’t? Surprisingly, I only thought of freebies as bait used by online entrepreneurs to increase website visitors. Well, your thoughts here about using freebies as sales funnel is news to me but very well appreciated. I have been using Instagram for a while but just for the fun of it. I have to take it seriously now after reading this post. Lovely tips – I’m fairly new to the Instagram game for my blog and haven’t found a very successful way to get people interested in my content. I think going to see what your competitors are doing is a great idea and also FOLLOW those people too! It’ll get them checking out your content. I’m actually starting out in Instagram but still need to know more about using it in marketing. I appreciate this helpful post about getting high-end clients using Instagram. I can see people sharing photos and videos through it so it means that I have to prepare doing such things too if I want to utilized the magic of this social media site! My first problem would be getting as many followers as I could so I might do as what you’ve suggested following the followers of the competitors. Hope they’ll follow me too! I don’t have an instagram account for my blog but I think I might just have to start one. It sounds like there is a lot of potential in growing my audience through that platform. Great advice, Angela! I really had fun while learning as I read your article.